Aggramar has been Cleansed of Corruption (10/11M)! After months of facing roster boss, re-configuring the raid and 270 wipes, Mythic Aggramar has been taken down. Very proud of our raid for sticking through all of it and getting him down so that we can look to get Argus down before the next expansion! Take a quick second to fill out this form so we know who's changing classes for BFA. If you aren't swapping still answer this form. If you are still undecided please talk to Drekkar. This week we will be starting our quarterly Engagement Meetings for the core raid. Each raider will be assigned a day over the next month in which you will meet with the officers to discuss how things are going, how you're feeling about the raid and game, etc. These meetings are required for all core raiders, and subs are also encouraged to participate. Before your meeting, please think about any suggestions or feedback you may have for the officers! This is not only for us to review you, but is also your opportunity to let the leadership know about any feedback you may have about the guild. Meetings normally only take around 10 minutes. You will be contacted at least a week in advance when your date comes up. Please let us know if the date doesn't work for you so we can reschedule. Thanks everyone! After several weeks of dealing with the Roster Boss, Nellabel and Orphan finally got fed up and decided to 2-man Mythic Coven. Sorrow and Kj also may helped somewhere in there. Great job! Next we move on to Aggramar and Argus to end the tier. 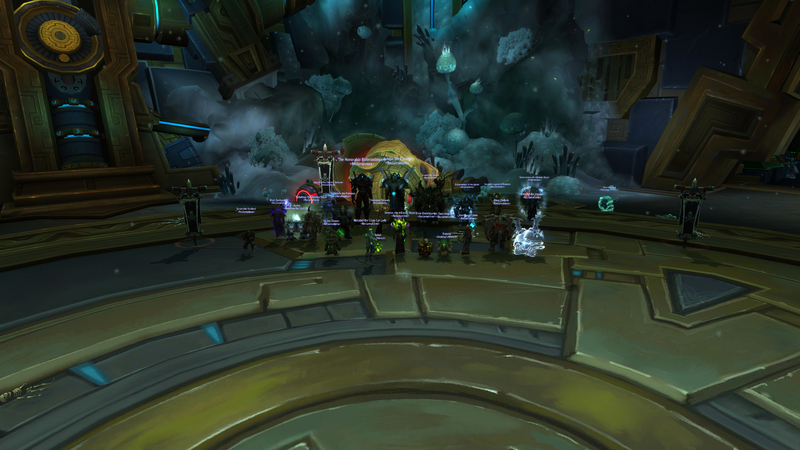 A fairly easy boss, Varimathras finally meets his end and the Wrathgate incident is avenged. Just a matter of having enough bodies to throw at him as the roster boss rears its' ugly head. 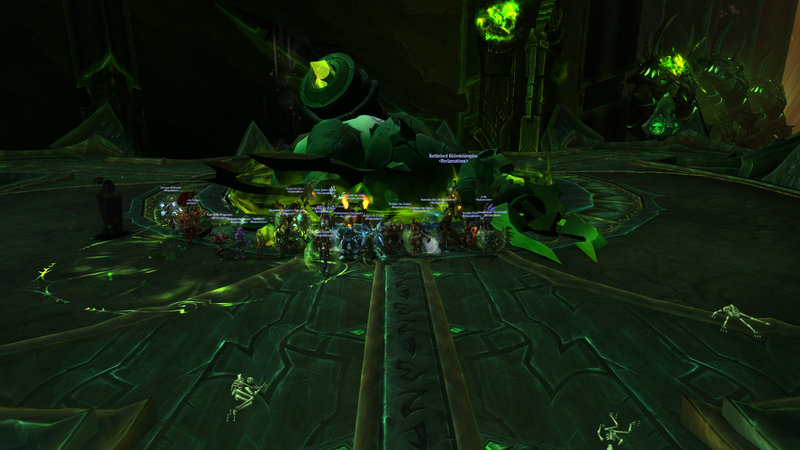 Mythic Kin'garoth falls after we finally manage to reclear Imonar with enough time to progress! Good job everyone! Mythic Imonar finally falls. Imonar was definitely one of the more frustrating bosses this tier and is without a doubt the Gorefiend wall of it. Good job everyone! Now we can finally move on to Kin'garoth!